Remodeling a kitchen is second nature to us. A formula of updating a home and designing a kitchen that meets our client’s needs for function and style. Carving a living space out of a historic building, though, was an exciting deviation from that formula. What was once a turn-of-the-century schoolhouse, and neglected for years between then and now, was transformed into a modern home. Our signature live edge (upper) and frame and panel (lower) cabinets, in western maple here, accented with chrome, subway tiles and honed marble, bring unique character to this fully renovated space. 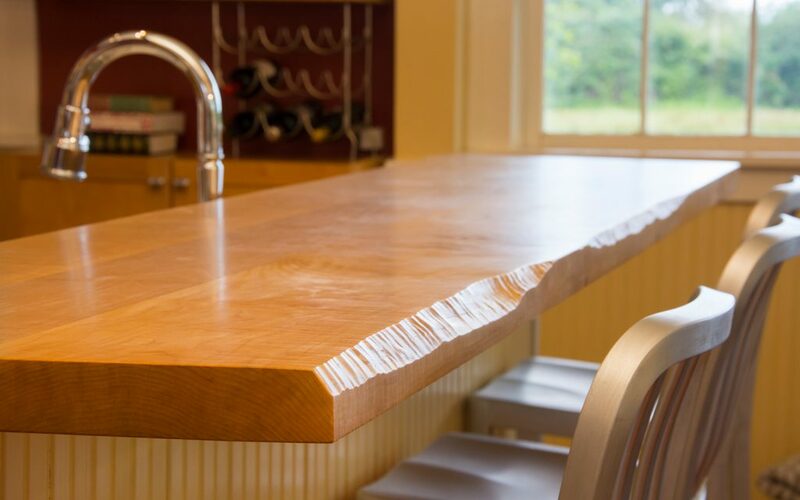 A live edge maple slab bar top defines the open concept kitchen. A contemporary Pacific Northwest family home, wrapped in the bones of a long, mostly wholesome, sometimes mysterious architectural history. Established in 1900. A project to remember. 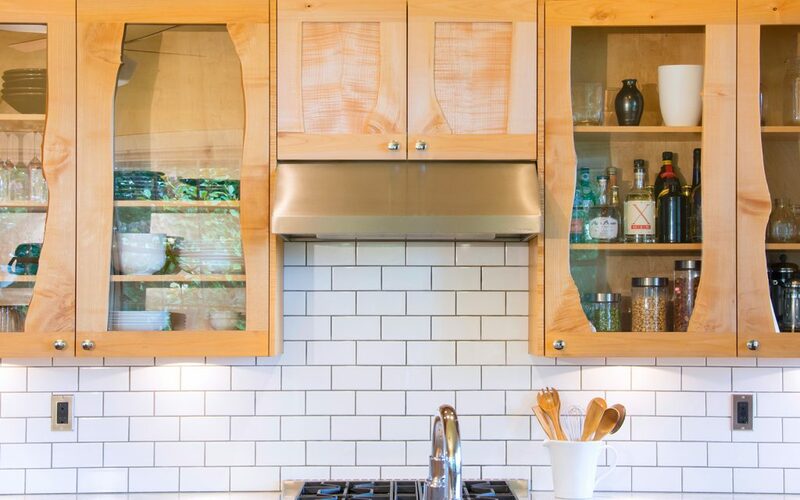 Smith & Vallee is the Northwest’s premiere custom cabinet and furniture maker, producer of affordable custom cabinets for your bathroom, kitchen, or whole home. 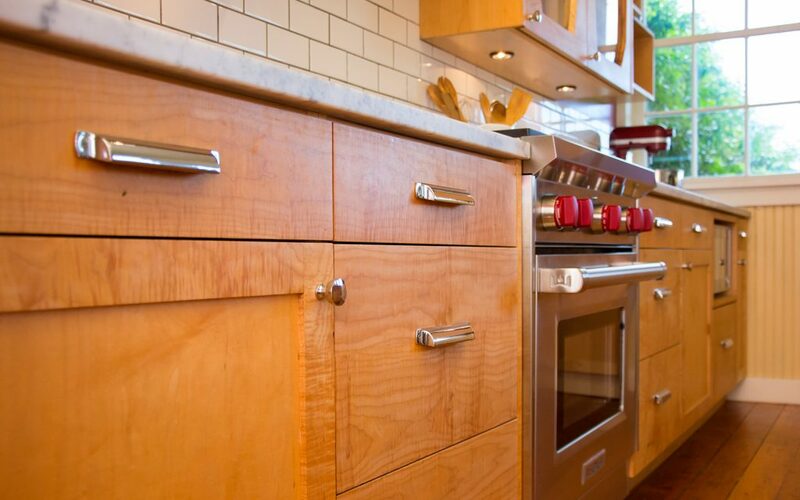 We provide residents in Seattle custom cabinets, as well as Bellingham, Everett and the South Sound. 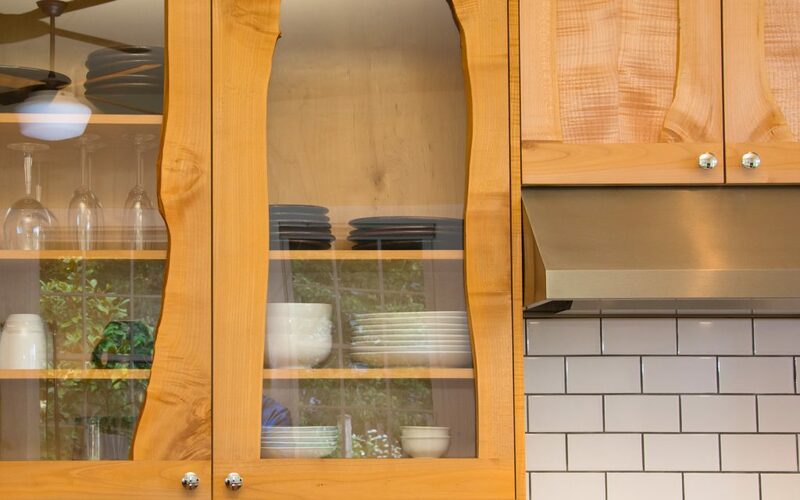 Contact Smith & Vallee today to get started on your custom cabinet project.